A snapshot survey in Cheltenham and Gloucester in September 2017 revealed that 80% of businesses are receiving connections of less than 100Mbps. 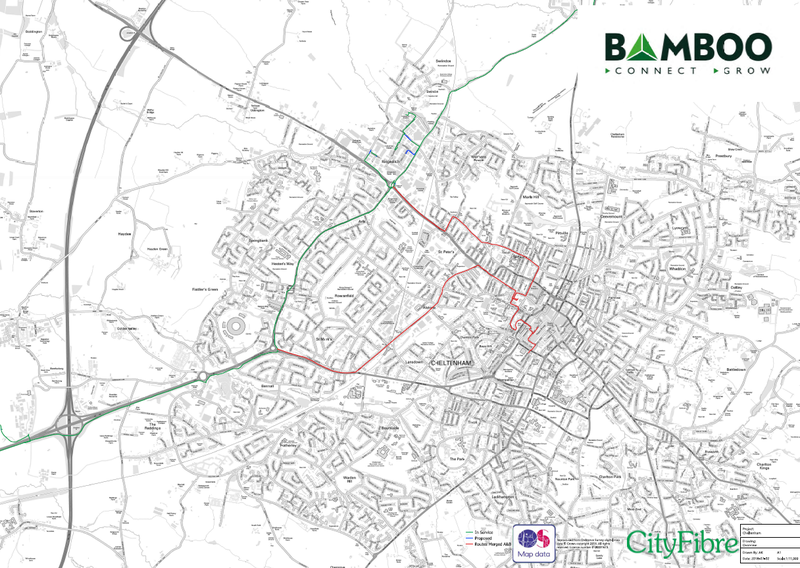 To counter this, Cheltenham-based Bamboo Technology Group has switched on its first customers to Gloucestershire’s new full-fibre network and is excited to announce the new route for gigabit connectivity into the heart of Cheltenham. The route will enable businesses in the town to realise the potential of full-fibre opening up a new era of affordable connectivity for the region. Working in partnership with network provider CityFibre, signed-up businesses in both Cheltenham and Gloucester are now benefitting from gigabit internet connections and with the full route into Cheltenham town centre announced, now is the time for more businesses to register their interest in signing up. Conventional network connections described as fibre often only offer fibre connections to the street-based exchange cabinet, relying on slow copper cable to deliver the final stretch from street to premises. In contrast, Bamboo and CityFibre are offering full fibre-to-the-premises gigabit connection speeds, allowing Gloucestershire businesses to operate with increased efficiency and productivity, far outstripping the UK average. With the majority of Gloucestershire businesses experiencing an average download speed of less than 100Mbps, there is no doubt that faster connections are needed in order to remain competitive. In Bamboo’s survey, we discovered that eight out of ten businesses would be interested in affordable connections above 500Mpbs. In addition, Bamboo can offer eligible small and medium sized businesses these connections with support from the DCMS Gigabit Broadband Voucher Scheme, enabling installation costs to be recovered as part of the UK Government’s commitment to a full-fibre Britain. Given the massive increase in data usage in businesses, which will only keep increasing, the Gigabit City project with CityFibre in Gloucestershire is vital to sustain growth and competitiveness in the marketplace, both in the UK and beyond. This is our opportunity to work together to connect Gloucestershire businesses like never before. The availability of gigabit connections will have a significant impact on new businesses considering a move to the region,” continued Lorrin. “With our first customers up and running across Gloucestershire, the county really is ready for the future. For too long, businesses in the area have been longing for connectivity that better serves their needs. Having the first customers connected and up and running is a great catalyst for the region’s digital economy. We’re looking forward to further supporting Bamboo in connecting even more businesses across the area to our full-fibre network. Gigabit capable internet speeds are currently available to just 4% of UK premises. Together, CityFibre and Bamboo are calling for local businesses to register their interest and learn more about Cheltenham and Gloucester’s networks, their capabilities and how they can support their digital ambitions. 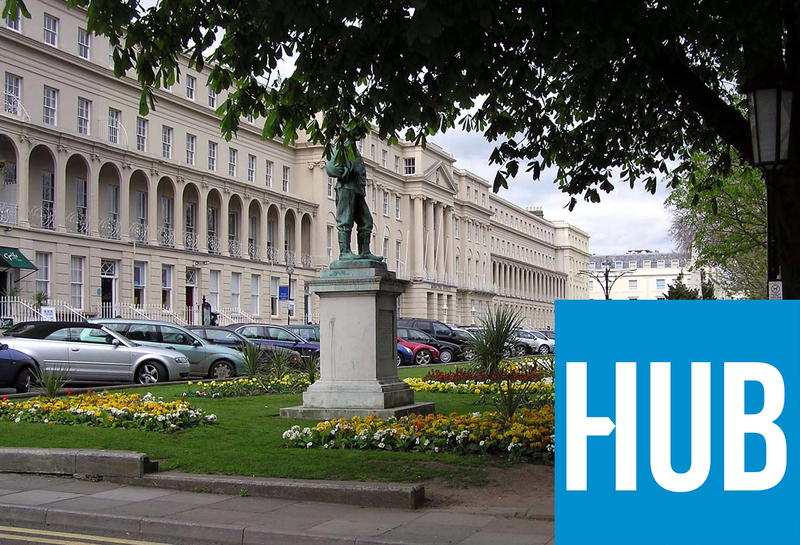 Could you run a Growth Hub in Cheltenham?